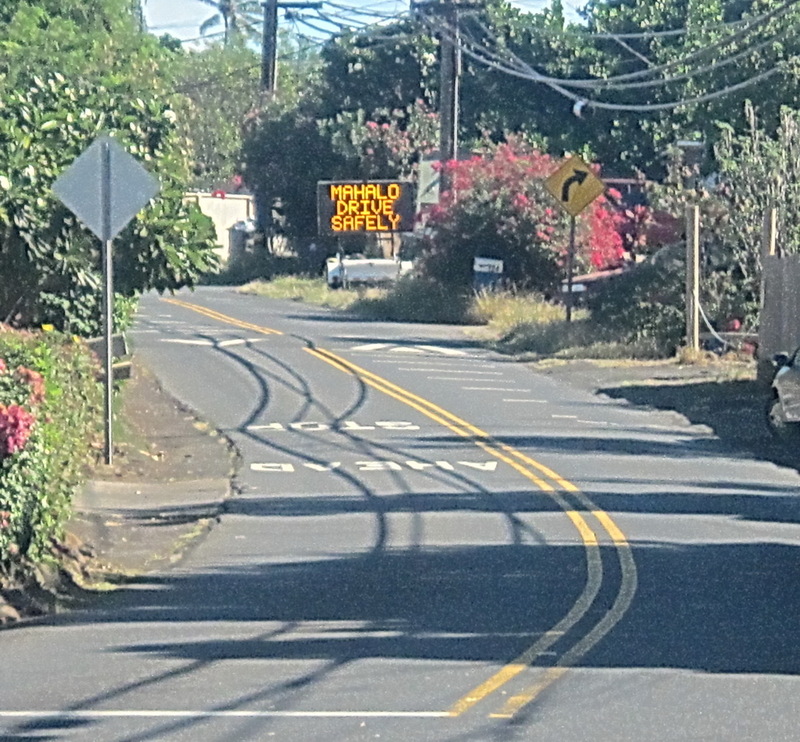 KCA has advocated for a contiguous sidewalks along Ohukai makai for over a decade but not a single foot of cement has been added. 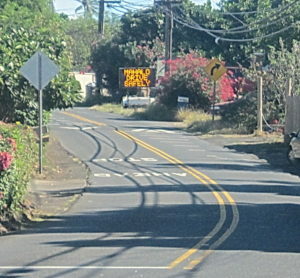 Granted, installing a sidewalk in some places along the road would be challenging, but in other sections, it would be very simple. 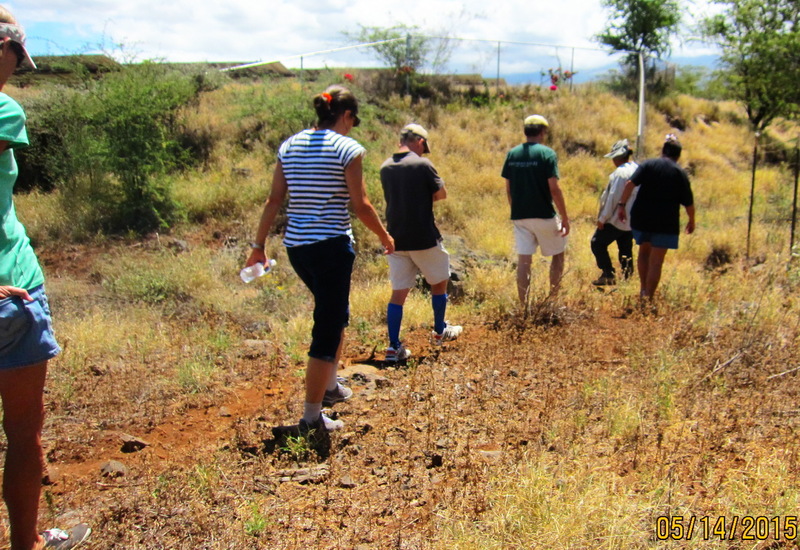 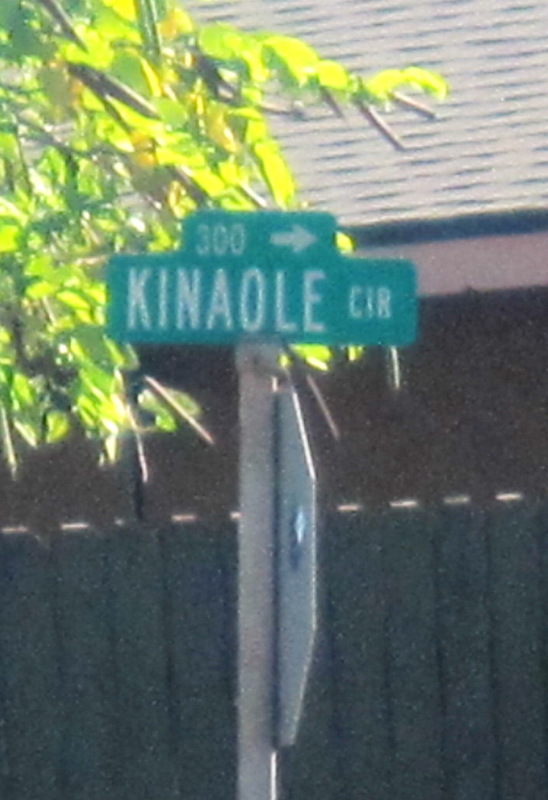 Many people walk in Kihei along the that road for a number of logical reasons. 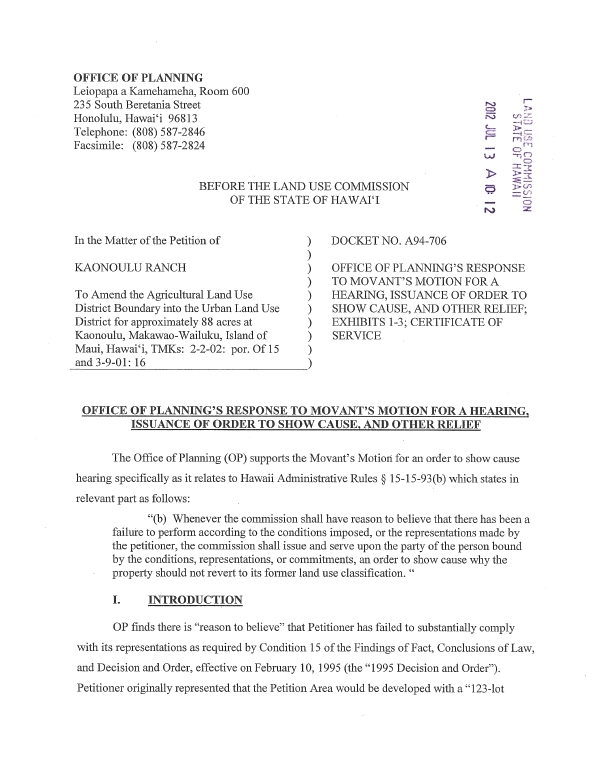 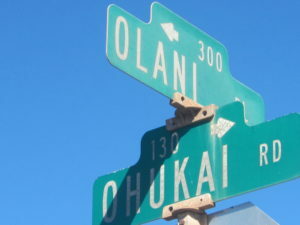 There are the Maui Bus stops at South Kihei Road, there is a school bus stop midway between SKR and the Piilani highway, beach access, and there is a business center across the highway. 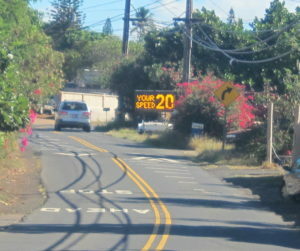 Just mauka of the portable electronic sign, seen in the photo below, is a sharp right curve, where Kinaole Circle intersects with Ohukai. 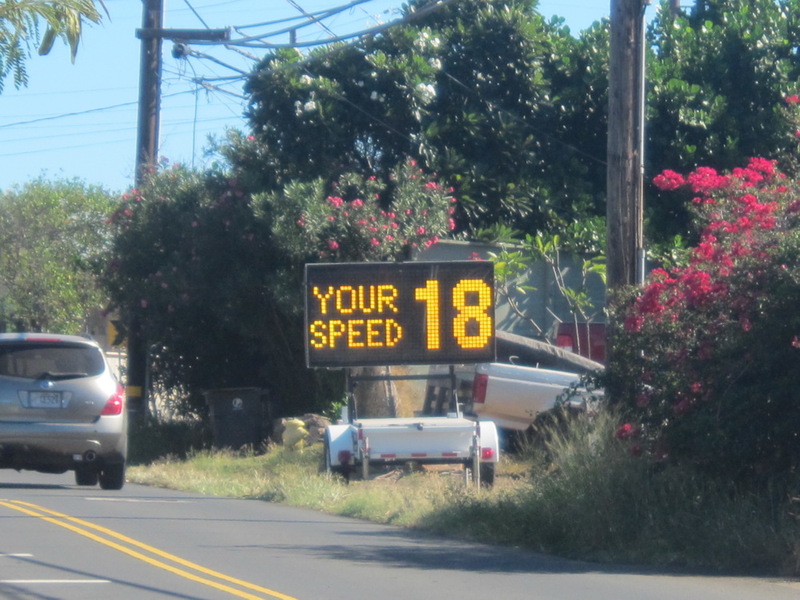 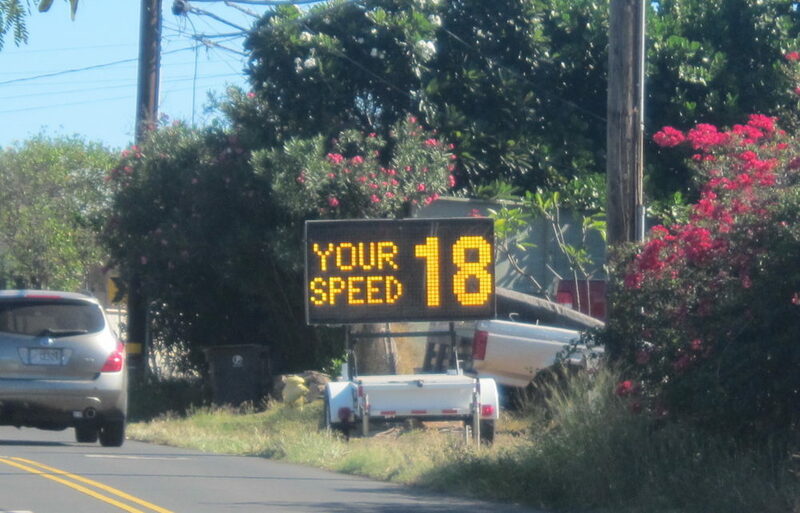 Thus, this speed monitoring sign, from the Maui Police Department, should help to slow speeding vehicles, and that is good to see. However, in our experience, speeding cars are coming downhill and going into this sharp curve, not uphill and right at the speed bump. NextLokahi 2018 on December 15! 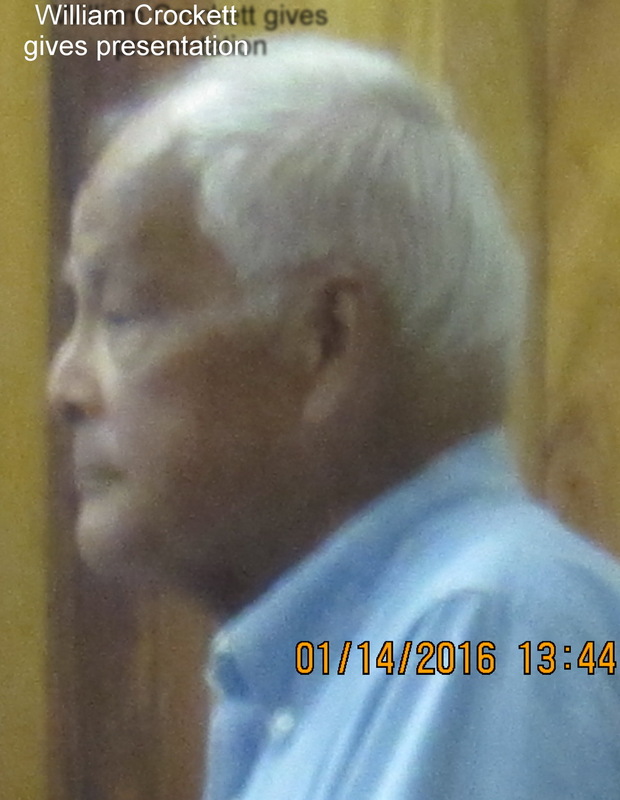 KCA makes our first Special Committee on Governance meeting on Thursday afternoon to testify.